More than 1700 people indicated they would attend the 5th edition of the SWAN market this Sunday 16 August at KerkPlein in The Hague. 120 creatives will present their lifestyle accessories, 13 food trucks will feed your bellies, Tommy Ebben, Emil Landman and Tim Dawn are responsible for eastethics for the ear, one bar will serve Vedett, wine and sodas and one jumping air pillow will entertain the youngest visitors. With 1700 people on an average sized square, one might lose sight of pretty much everything, especially those little (indispenable) goodies on offer. 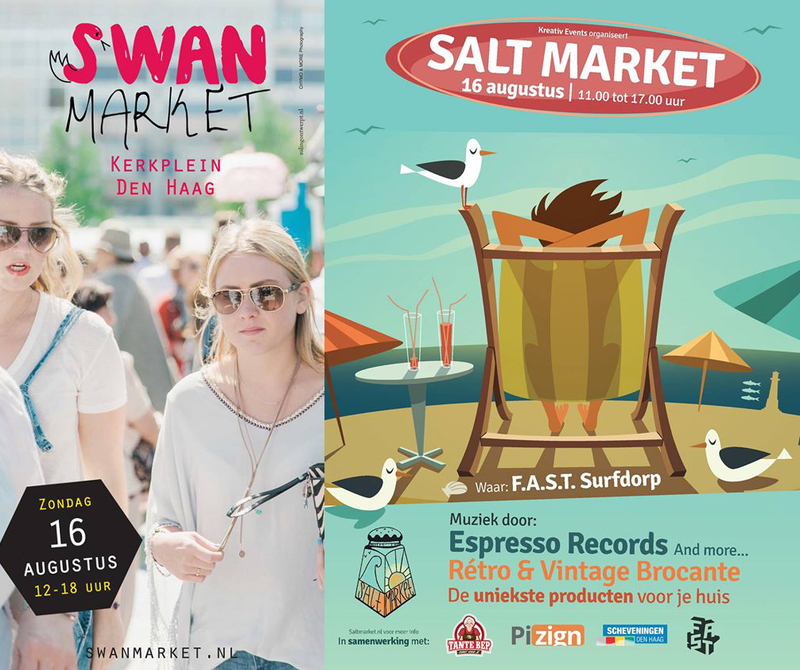 What I’d do is take a stroll at KerkPlein – at least to taste delicious food by Bánh Mì Girls – and head to F.A.S.T surf village to visit Design, Hand Crafted & Vintage edition of SALT market. 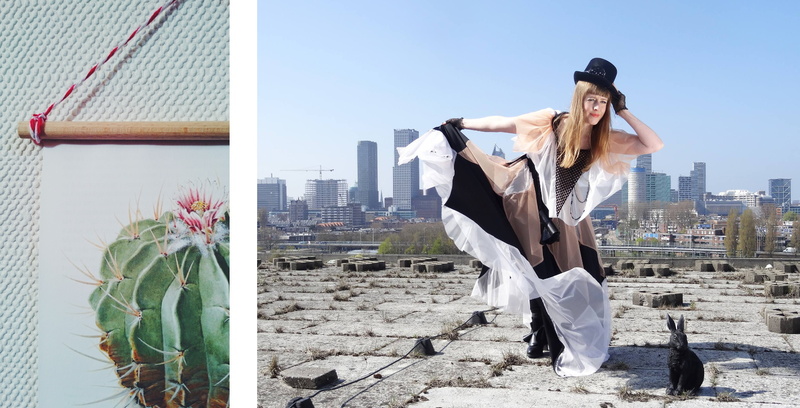 Check fashion designs by Les Soeurs Rouges – Dorrith de Roode & Marlous de Roode or vintage finds and handmade treasures from Mot Vintage. Don’t you love the cacti posters? They have a bar too, serving local Kompaan beer while you listen to Espresso Records. ← OFF, OFF TO HET NUTSHUIS!